What They Say.....From the New York Times and internationally bestselling author of The Secret Keeper and The Distant Hours, an intricately plotted, spellbinding new novel of heartstopping suspense and uncovered secrets. What I Say.....Rosamunde Pilcher started my love affair with English war novels when I read the Shell Seekers, but Kate Morton quickly became one of my go to authors. These two women make me wish I was born in a different time, and on a different continent. Going to Cornwall is on my bucket list just to see the place of my favorite novels. So when I got an ARC of The Lake House from NetGalley and Atria Books, I was over the moon! It jumped right to the front of my reading queue. As usual, Kate Morton does not disappoint. Sadie Sparrow is a young detective on a forced leave from the police department, for becoming too involved in a case of a young mother abandoning her daughter. Sadie stays with her beloved grandfather, and starts exploring the area in an effort to keep her mind off of her troubles. She comes across an abandoned country house, and falls quickly into the local mystery surrounding a small boy who disappeared 60 plus years ago. I always love how Morton's books go back and forth in time, giving equal weight to everyone's storyline. This is one of the things this author does best, and make her books so unique. As Sadie gets closer to solving the mystery of Theo's disappearance, those around her are forced to confront the secrets that they have kept from each other over theirs, all of them harboring guilty feelings for their parts in the loss of their baby brother. 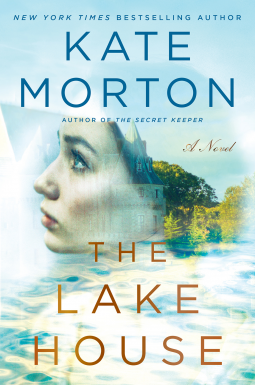 My only real complaint about Kate Morton's books is that she doesn't write faster! It's been three years since The Secret Keeper, it's super frustrating to have to wait! This is definitely a first world problem!